I enjoy photographing wildlife and sharing insights I learned over the years is just a natural progression in my photography passion. 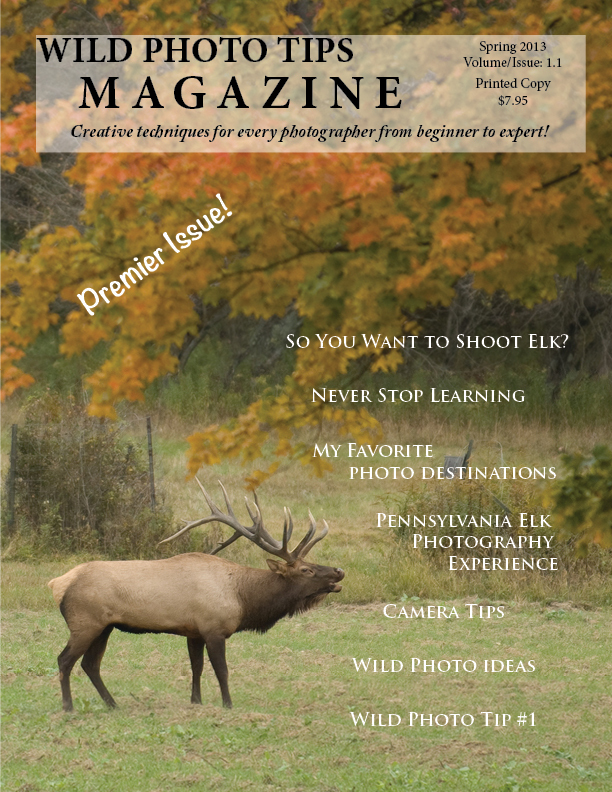 So, inspired by fellow photographers, I decided to write a wildlife photography tips magazine. You can view the premier issue here, or by clicking on the photo above. In this magazine you will find a breadth of info on wildlife photography from suggested gear to practical shooting tips in the field. I share some camera setting suggestions as well as a detailed step-by-step account on location during one of my photo shoots. The goal is to share wild photo tips to help photographers capture better wildlife photographs they will be proud to share with others, and help you become a better photographer. Beginners to experts will find something of value in each issue. 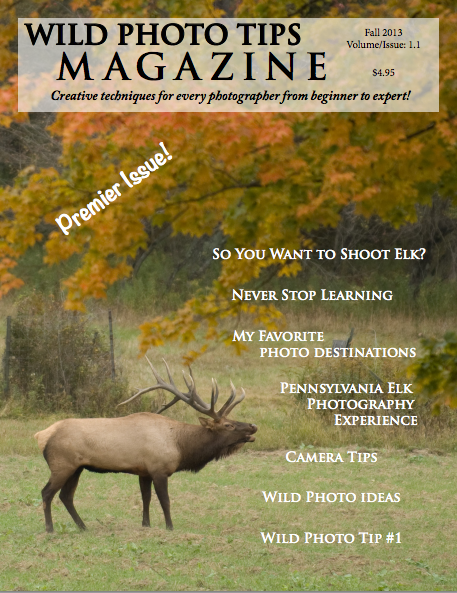 Check out my new Wild Photo Tips Magazine. Share it with others who are interested in wildlife photography. Then be sure to let me know what you think about it!